Happy New Year everyone! We hope you enjoyed the holiday treats, refueled yourself with some needed sleep and ready to hit the ground running for the new year. Your green babies want to see you at your best too! We were stunned this morning. One of those fist pump moments and had to share. 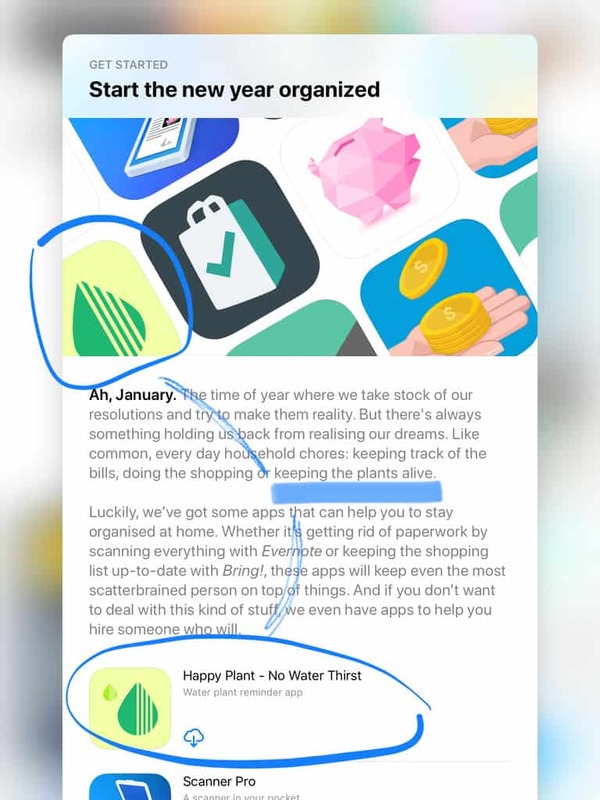 Apple called out Happy Plant in their “Start the new year organized” section. This looks like a new initiative of Apple where they select apps around certain topic areas. Being the new year, they made a write up about apps that help with organizing. And holy crap…Happy Plant was listed in the top spot!!! We are even above Evernote!!!! Hahaha….I’m sorry, but we need to squeeze every bit of this monumental glory of being in the spotlight…haha…ok, I’m done. But this is truly special because Apple wrote about something that we’ve been striving for with Happy Plant. The time of year where we take stock of our resolutions and try to make them reality. But there’s always something holding us back from realising our dreams. Like common, everyday household chores: keeping tracking of bills, doing shopping or keeping the plants alive. 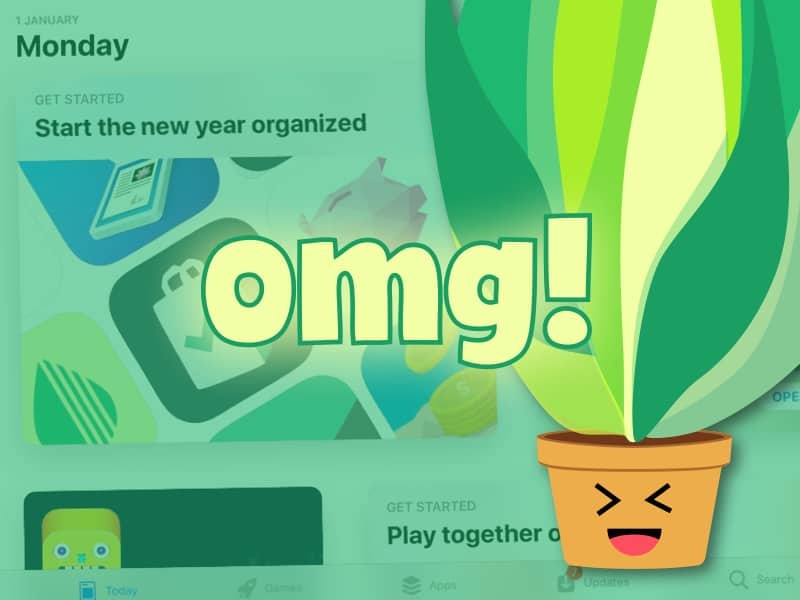 Happy Plant started off as an app project that would solve a problem while learning how to build apps. For me, Mike, my wife was always annoyed that I never watered the plants at home and so I thought a water reminder could help. I dreamed of creating an app and with Vitor, my work-wife, we made it happen! After releasing Happy Plant into the wild, we saw that this impacted thousands of other iPhone users. People are trying to break bad habits and we want to help remove those little obstacles that stand in the way of self-fulfillment. Watering plants is just one of those tasks that stand in the way, but forgetful habit can be broken! We love all our users. It’s a special feeling knowing that you built something and it’s inside people’s phones around the world. Thanks so much for trying Happy Plant and especially leaving feedback and 5 STAR REVIEWS! These have helped us get in front of other users and Apple to show that we can be a life changer. Thanks again everyone and wish you a great start to the new year!